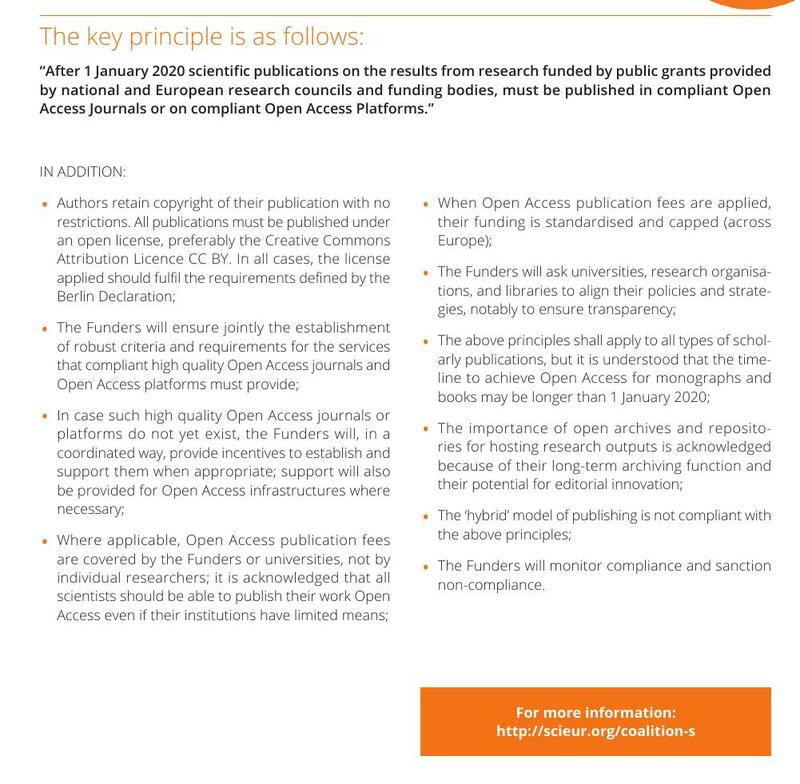 Those of you interested in the topic of Open Access Publishing, and Open Science generally, will no doubt already have heard of `Plan S’. For those that haven’t it is a proposal by 11 European Nations to give the public free access to publicly funded science. The 11 countries involved in this initiative are: France, Italy, Austria, Ireland, Luxembourg, the Netherlands, Norway, Poland, Slovenia, Sweden, and the UK. Together, these nations compise `cOAlition S’ – the `OA’ is for `Open Access’ – to carry out the plan, which can be found here. I have blogged about this and some of the reactions to it before (e.g. here and here). I’m writing today, however, to pass on an important piece of news, which is that comprehensive technical guidance on how to comply with Plan S has now been issued by Coalition S, where. you can also submit feedback on the guidance. I’ve got quite a busy day teaching today and have so far only just skimmed the guidance. At first sight it looks a lot more flexible than some people feared. Comments are welcome belo. My main preoccupation will, however, be to ensure that the Open Journal of Astrophysics can be made compliant (if it isn’t already)..
There’s an `Open Letter’ doing the rounds which rails against the European Plan S for open access to research papers . You can find it here on Google Docs. It is apparently initiated by some chemists, and there are very few signatories who are not chemists, though the language used in the letter suggests that the authors are talking for a much broader group. My own thoughts on Plan S can be found here. I’m basically supportive of it. I suggest you read the letter for yourself and decide what you think. I think there are many rather inaccurate statements in it, including the idea that the journals run by Learned Societies are not profit-making. In my experience some of the most exploitative publishing practice comes from these organizations, though it takes something to beat the likes of Elsevier and Springer in that regard. 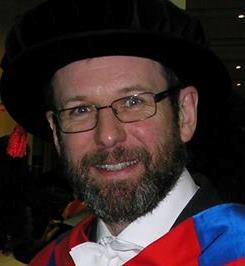 I share the concern about some researchers being driven to expensive `Gold’ Open Access modes of publication, which is why I started the Open Journal of Astrophysics which I think offers a viable route to peer-reviewed publication that’s not only low-cost, but entirely free for authors and readers. Open Access publication is really not expensive to do. It’s just that some organizations see it as an opportunity to make enormous profits. In my opinion, Column H is the place to be! I’ve given quite a few talks about Open Access recently and one of the things that struck me in the Q & A sessions after them is the extent to which attitudes differ in different disciplines. My own research area, astrophysics and cosmology, embraced open access over twenty-five years ago. Virtually every paper published in this discipline can be found for free on the arXiv, as is the case for particle physics. More recently, condensed matter physics and some branches of mathematics have joined in. Chemistry, by contrast, is conspicuous by its absence from the arXiv. I don’t know why. Moreover, those who have expressed the most negative attitudes to Open Access whenever I’ve given talks about it have always been chemists. And now there’s this letter. It’s definitely part of a pattern. If any chemists out there are reading this, perhaps they could tell me why there’s such an enormous cultural difference between physics and chemistry when it comes to research publication? Plan S has (probably) a much larger negative effect on chemistry than on some other fields. Maybe so, but isn’t that just another way of saying that chemistry is more in need of cultural change than other disciplines? P.S. I’d be happy to advise anyone interested in setting up an Open Journal of Chemistry, but if you want it to run like the Open Journal of Astrophysics you will have to set up a chemistry arXiv first – and that’s a much bigger job! P.P.S. Thanks to a comment below I now know that there is a Chemistry archive, but it only has a small number (hundreds) of papers on it. Moreover, it does not host final refereed versions of papers. It is run by the American Chemical Society, German Chemical Society, and the Royal Society of Chemistry all learned societies who are opposed to Open Access no doubt because it threatens their funding models.